The toxic employee: we've all worked with one and dread having them around. 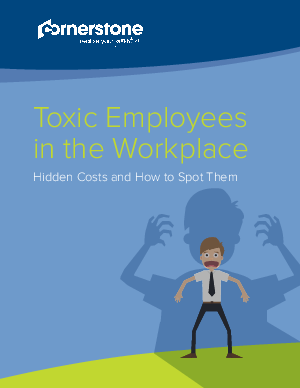 Cornerstone's recent study unveils how toxic employees affect morale, productivity and staff attrition. • to manage a toxic employee and what warning signs to look for during the interview process.